I’ve been a user of Wacom graphic tablets for many years. 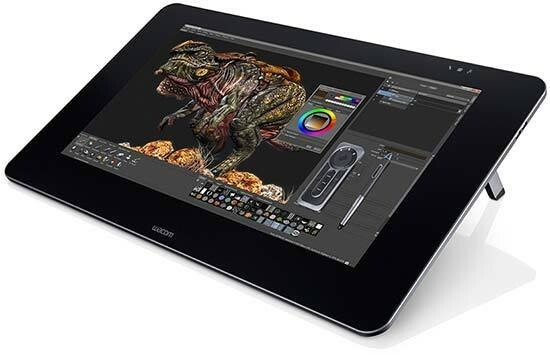 Currently I’m using the Special Edition Intous Pro which matches the size of their medium tablet but adds a touch of silver trim and the wireless connectivity that is optional on the standard Intous Pro line. I’ve long admired the Cintiq line, and even looked at one a few years ago, but decided for my photographic work, the standard tablet fit my needs better. 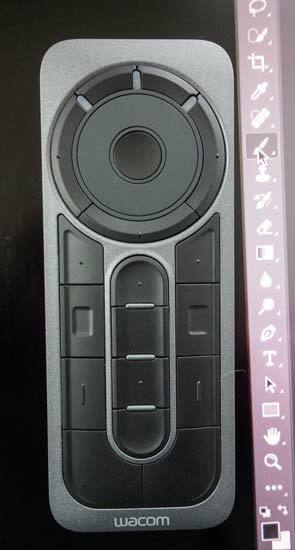 I was recently invited to take a look at Wacom’s newest Cintiq, the 27QHD Touch. If I had to sum it up in a word, I’d say WOW! 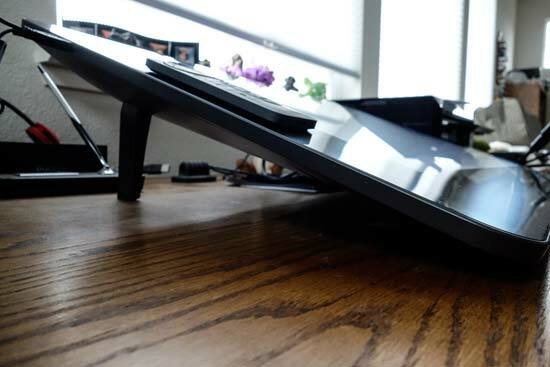 When you first setup the Wacom Cintiq 27QHD Touch, you’ll immediately realize this is a serious piece of hardware. I had to clear some space on my desktop to take advantage of the display - with the mess I normally have, that’s not as easy as it sounds. Unlike the earlier Cintiq I looked at, the Ergo stand is now optional, and for me, that’s perfect - I love the angle of the built in stand and am happy to not have the expense and change in how I work. Being able to look down at the display while editing works well for me. Perhaps a regular artist, or someone that used the display as their primary display would prefer the more vertical angle of the Ergo, but not me. The Wacom Cintiq 27QHD Touch is a breeze to setup. I connected to my MacBook Pro via Mini Display Port (directly into a Thunderbolt port), and connected the USB 3 cable to an open port on the laptop. 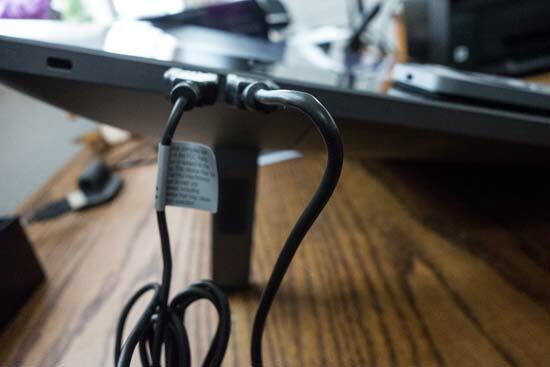 The Cintiq has 4 USB 3 ports, two on each side, so giving up a port on the laptop isn’t an issue. At first, I was getting some odd behavior with slow response on the gestures and new ExpressKey Remote, but deleting my existing Wacom drivers and installing clean took care of this for me (and, if I had read the setup guide, I would have seen this instruction). The Wacom Cintiq 27QHD Touch is available in two models - the standard, and the Touch. If you don’t feel the need to have touch support, you can save $500 ($2299.95 vs $2799.95), but I’ve gotten so used to having touch support on my Intuos tablets that for me, it is worth the extra money. If you’ve used a Wacom tablet before, you’re familiar with the ExpressKeys - fully customizable buttons, and on the newer models, a touch ring, that gives you quick access to common commands like changing brush size, choosing tools, etc. 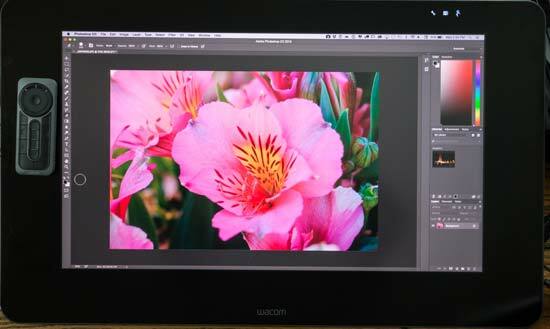 The Wacom Cintiq 27QHD Touch takes this feature and optimizes it for the large size screen. It is now a separate controller, wireless, that can be positioned anywhere around the frame of the Cintiq via magnetic contact. I like that you can have multiple ExpressKey Remotes as well if you wanted. For me, one is enough. It also comes with the usual pen with interchangeable tips that you might be familiar with.